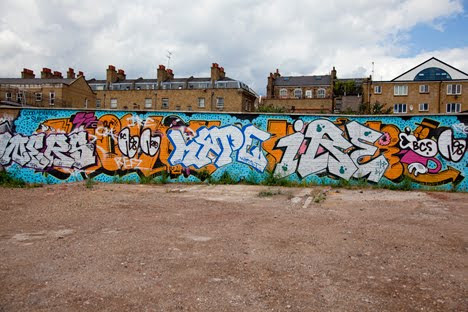 We snapped this Word To Mother and Sickboy wall about two weeks ago and I was down that side of East London again on Saturday and see the wall has been taken out. I guess this was inevitable in such a prime spot next to the new East London Line. In other Word To Mother news, we see he has been to the South of Italy in the last week or so for this years Fame Festival. You can check the work over on the festival blog.